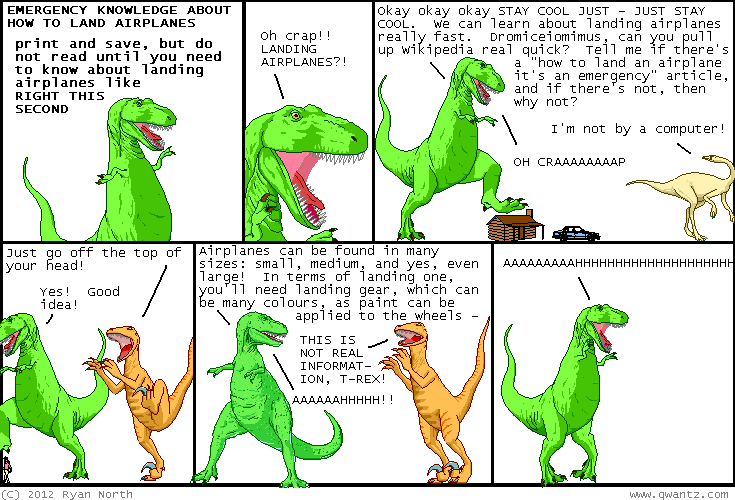 Dinosaur Comics - May 3rd, 2012 - awesome fun times! May 3rd, 2012: A Dr. McNinja video game? DON'T MIND IF I DO. It's a Kickstarter you can support to make this crazy game a crazy reality!! One year ago today: PS: I was actually this rhetorical dude, who has never really paid attention in "What to put in your belly" classes! !